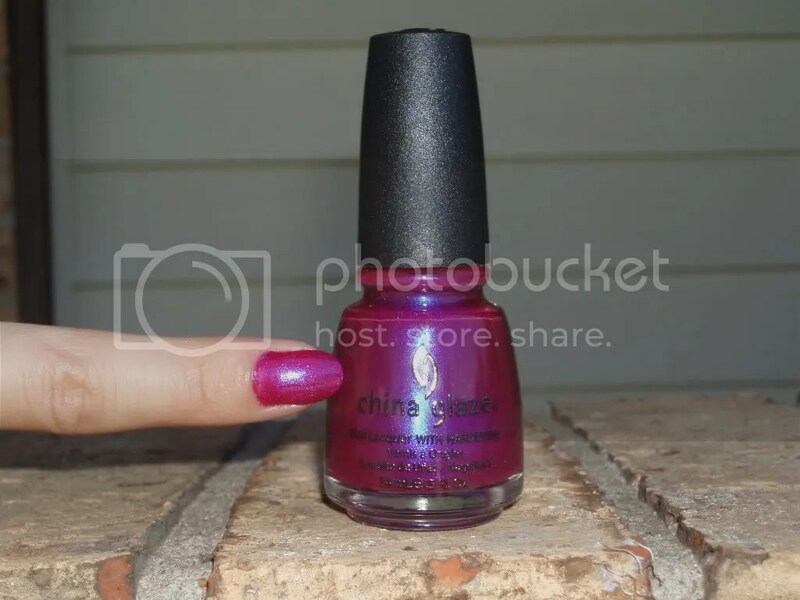 Another one for October being the month for Breast Cancer Awareness is China Glaze’s Reggae To Riches. Not the normal sweet pink shade for breast cancer but there are so many more days in October for those. 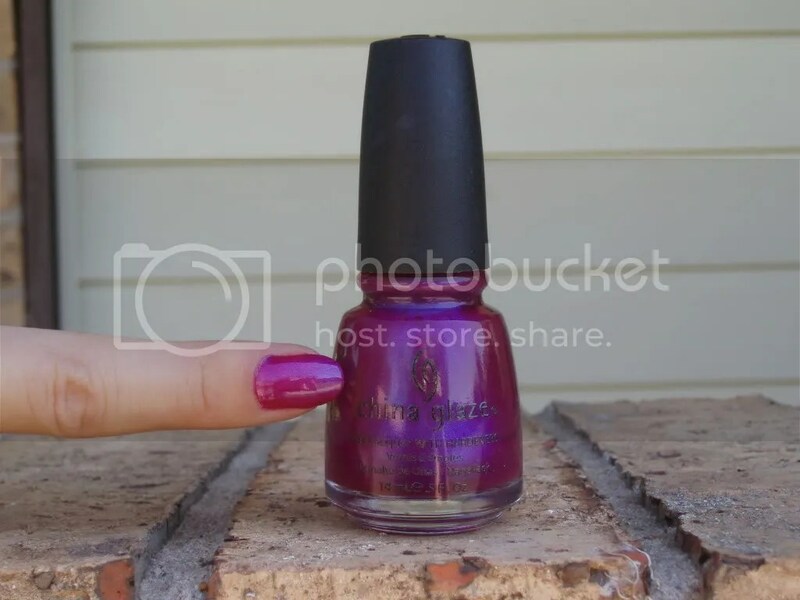 This purplish pink shade is rich and very attention grabbing! Just look at it! It makes me think of a magenta color almost but not quite really. It’s bold, it’s hot, it’s awesome! I find this to be a really unique shade. There is none like it in my collection. What a pretty pink! Shown is 2 coats with no top coat. This dried in quite a short amount of time for a shimmer. I was very surprised (but very pleased!). Formula was smooth and gave me no problems at all. I love how it looks even with the camera flash! There aren’t many shades that show up reall pretty in pictures taken with and without flash. This is one of those. This entry was posted on October 13, 2010 by kittypolishnbags. It was filed under China Glaze, nail polish, shimmer and was tagged with China Glaze, nail polish, shimmer. Pretty! I don’t think I’ve seen this one before. It’s quite unique. The shimmer makes me think of glass fleck polishes almost.